house,daughter and some other facts about her that you probably never knew. Q: Mercy Aigbe Quick Facts? 1. Mercilicious Mercy Aigbe is a talented Nigerian actress,film maker and entrepreneur that was born on the first of January 1, 1978 in Edo state. 2. In Nollywood she is known for acting popular yoruba movies,she has been in the industry since 2001. 3. Her much publicized marriage to Lanre Gentry who is a hotelier ended in2017. Mercy has 2 children. 4. Mercy had her early education at Maryland Comprehensive Secondary School Ikeja, Lagos.She Bagged an OND in Financial Studies from The Polytechnic, Ibadan, Oyo State,she went ahead to study Theater Arts at The University of Lagos. 5. Some of her movies include Afefe Ife,Okanjua,Atunida Leyi,Igberaga,hamo,200 Million,Second Acts etc in 2016,Mercy founded the Mercy Aigbe Gentry School of Drama,she is also the founder of Mag Divas Boutique in Lagos and Ibadan. 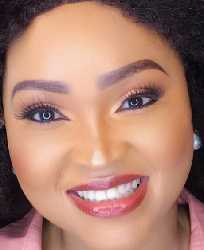 Q: Mercy Aigbe Current Net Worth? In 2018,Mercy Aigbe announced that she recently acquired a new mansion valued at N200million,she currently has an estimated networth of $1.5 Million dollars.